Apple Week is finally here! For the last month I’ve been busy baking, cooking, and using apples in every form imaginable. I’ve had delicious apples sent to my house, I’ve had a friend go to an orchard and get me a peck of apples, and I’ve gotten numerous varieties at the store. The four recipes I’m sharing this week are the best of the best and I can’t wait until you see what I’ve come up with! 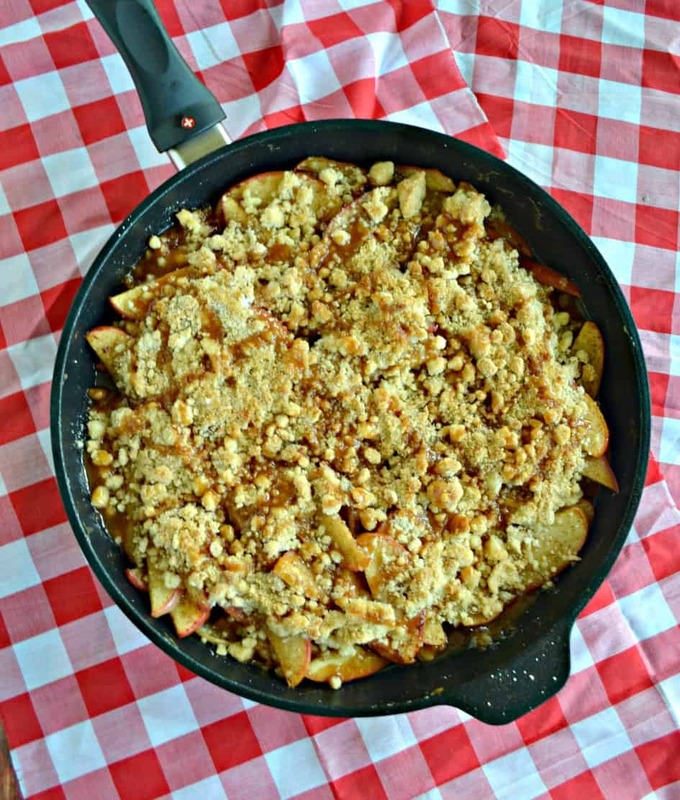 Today I’m sharing a recipe for Salted Caramel Apple Crisp. I bet I know what you are thinking, another apple crisp recipe? Aren’t there enough of those out there? The simple answer is no. 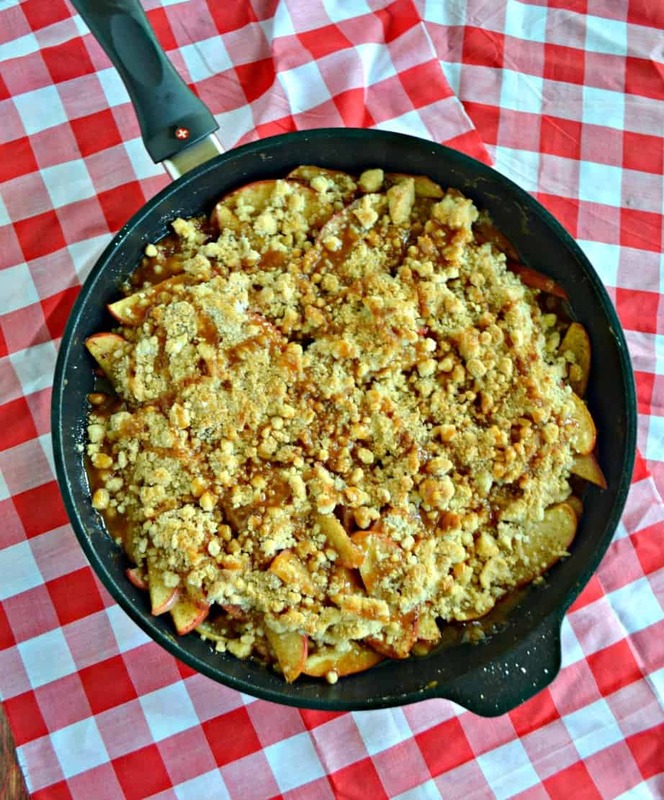 Have you had an apple crisp with homemade salted caramel? Have you had one that starts on the stove top and finishes in the oven? I didn’t think so. I’ve been super excited to share this recipe. 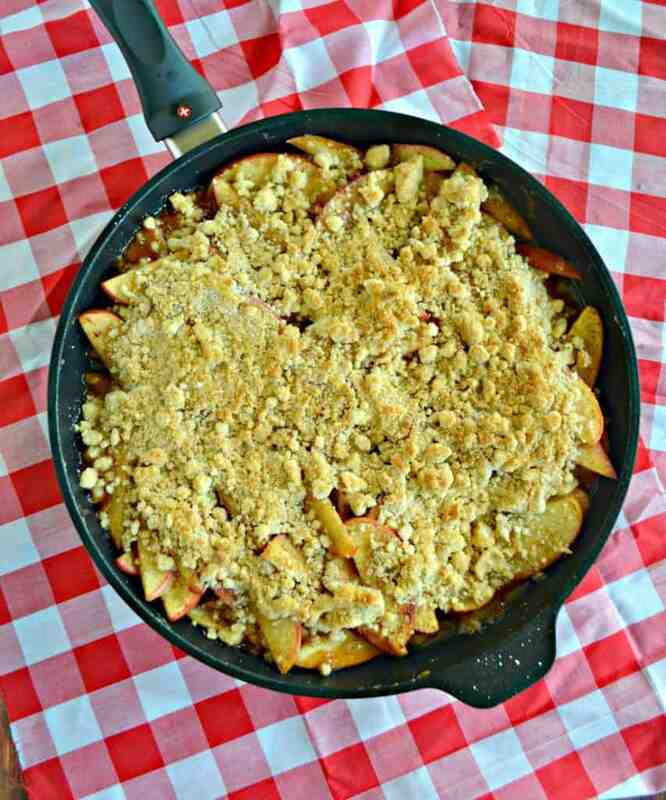 Not only is it my absolute favorite apple crisp to date but I go to use my brand new Swiss Diamond Nonstick 11″ Fry Pan to make it! This pan was amazing and I can’t wait to buy more from Swiss Diamond. 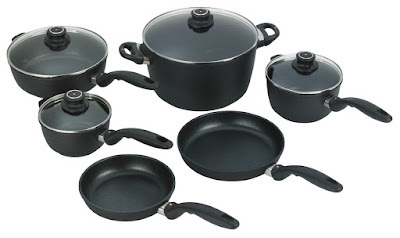 The nonstick coating helps with even heat distribution, nonstick food release properties and overall durability. There are actual diamond crystals in the nonstick coating which help with the overall performance. 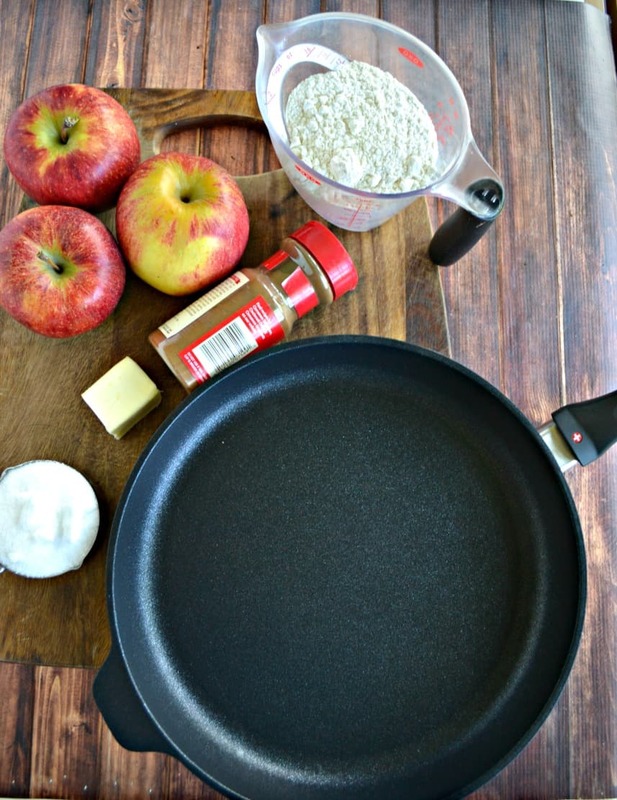 This pan also goes from stove top to oven which was perfect for my apple crisp recipe. Before I could even start with the apples I had to make my own caramel sauce. I swear this is what makes this the best apple crisp. 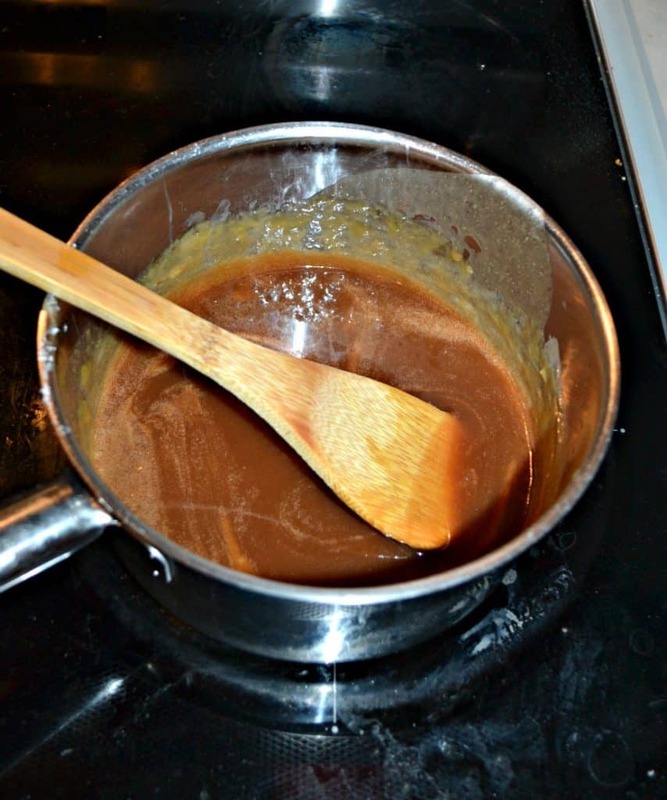 In a saucepan I made homemade caramel sauce and added vanilla and sea salt to it to flavor it. I may have eaten a spoonful….or two….or three before it went into the actual recipe. 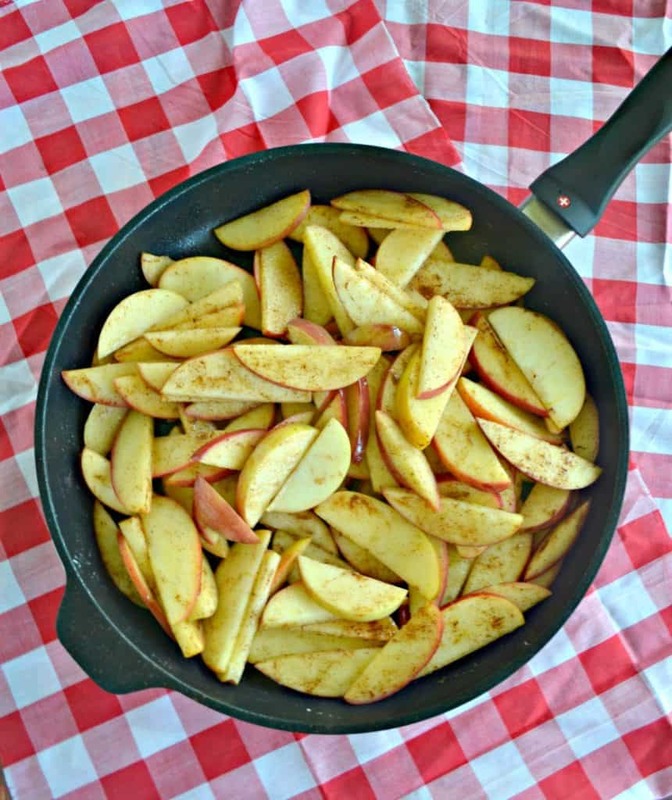 The apples are sauteed in butter and spices in the Swiss Diamond Fry Pan until they begin to soften. Then they are tossed with half of the caramel sauce and topped with the crumble. The entire pan goes into the oven for 20 minutes and then gets broiled for a minute to turn the topping golden brown. Once it comes out the remaining caramel sauce is drizzled on top. Can you see why I can’t get enough of it? The apples are warm, soft, and perfectly spiced. 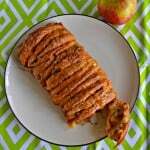 They are in a buttery caramel sauce which pairs well with the flavor of the apples. Then the crumble on top gives the entire dish a nice crunch. 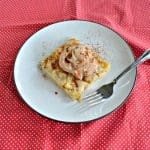 If you want to go all out get a scoop of cinnamon or vanilla ice cream and put it on top of this warm Salted Caramel Apple Crisp. Trust me, you’ll be glad you did! Warm apple crisp coated in homemade caramel sauce then topped with a buttery crumble and rich salted caramel topping. In a heavy bottom saucepan heat the sugar and water over medium high heat. It will boil for several minutes and then begin to turn golden brown. Once it turns golden remove from heat and begin whisking while adding in the heavy cream. The mixture will bubble and spit so be careful but whisk constantly. Add in the butter, vanilla, and sea salt then place over low heat, whisking frequently, until butter is melted and the caramel sauce is well combined. Remove from heat. 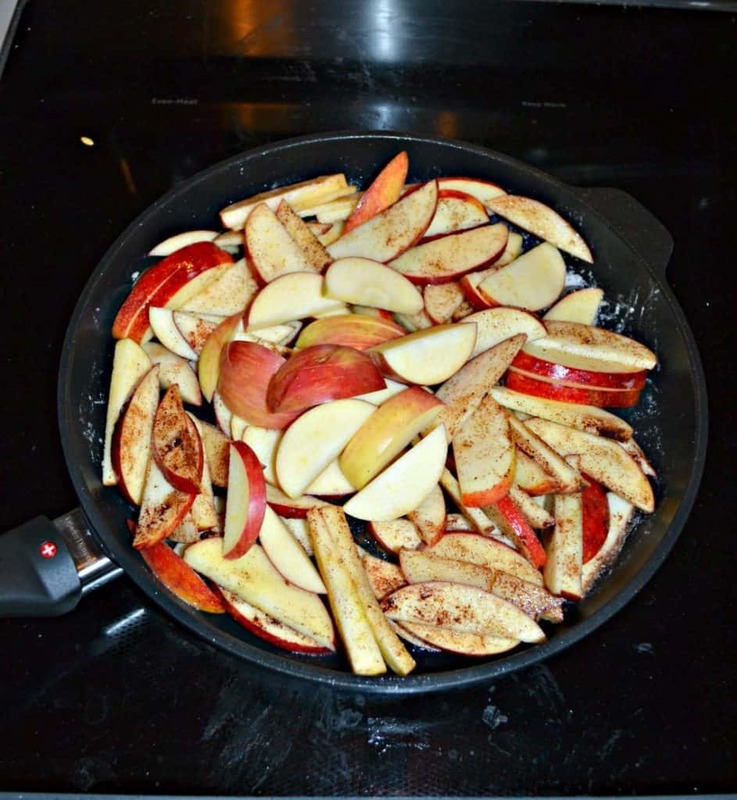 To make the apples heat a fry pan over medium heat (I used Swiss Diamond 11 inch fry pan). Add the butter and melt completely. 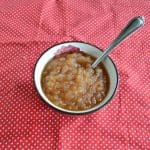 Add in the apples, apple pie spice, and salt and cook over medium heat for 5 minutes, stirring occasionally, or until the apples begin to soften. Pour half of the homemade caramel sauce into the fry pan with the apples and mix well. Remove from heat. 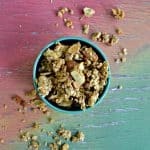 Combine all ingredients for the crumble and mix until a crumble forms. Sprinkle over top of the apples in the fry pan and put the pan in the oven. Turn the oven to broil and broil for 1-2 minutes or until the crumble is golden brown. Remove from oven (using pot holders!) and drizzle with remaining caramel sauce. Serve warm. Top with ice cream if desired. A gorgeous presentation for this rustic, delicious dessert. Beautiful! The salted caramel brings the dessert over the top! I’m sold! Homemade caramel definitely takes it to the next level!